Promain UK Limited offers you a range of products used to prevent intruders. These are known as Anti Climb Paints but can also be referred to as Anti Intruder Paint, Anti Vandal Paint or Non-drying Paint. The clue is in the name, Anti Climb Paint, it does what it says, prevents people, or intruders from climbing up, walls, fences, drains, gates or drainpipes. These products are ideal for those who want to protect their homes or businesses from theft or burglary. If anyone does attempt to intrude on your property and lays hands or clothing upon the paint, they will be left covered in an obvious sign that they tried to burgle you or intrude for some reason and they will be instantly identifiable in their attempt to flee from the scene. A thick non-drying paint providing a slippery surface containing a hidden identifier. The range of product we supply include Coo Var Anti Climb Paint, Coo Var Anti Climb Aerosol and Blackfriar Non Drying Anti Climb Paint. These come in a range of prices and sizes and are extremely easy to apply to surfaces. Once applied to the surface, with one single coat, it becomes virtually unclimbable and preferably untouchable. By using these paints you instantly protect your home and/or business against theft with the use of an extremely slippery surface. 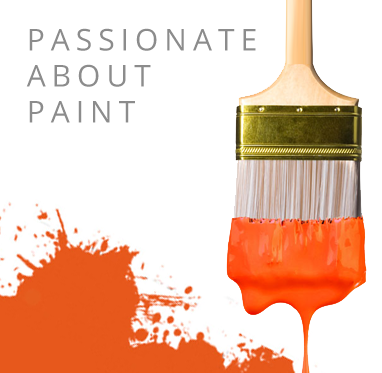 As one of the largest Paint suppliers in the UK Promain offers you great prices on these products and ensures you that you will not be let down by our amazing value. Please bare in mind that anti climb paints are extremely difficult to remove from clothing so please be careful when applying it to the necessary surface. Also be aware that these products should also be used around two metres above entrance to a threshold and warning signs should be purchased to warn people of the Paints presence.